This article is based on a lecture delivered by Claudia Roden at the School of Oriental and African Studies (SOAS), London on 8th February 2017 as part of the university’s Centenary celebrations. There are some cooks who wordlessly lift their inspirations from cultures near and far, and others captivated by the alchemy of their own cupboards and kitchens. Claudia Roden, though, is a thirstily curious collector of stories, and a genealogist of recipes. At 81-years-old the dishes she’s harvested for her eleven books, like The Book of Jewish Food (1996), have been painstakingly gathered by diverting strangers into conversation, doggedly chasing tips through bloodlines and across borders. 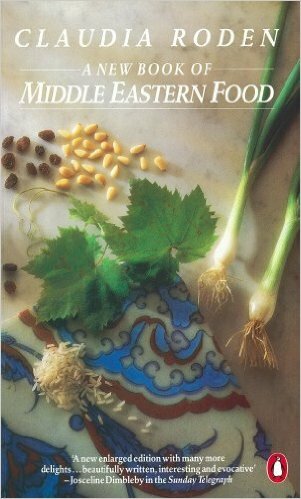 Born in Cairo in 1936 to a Jewish family, Roden is perhaps most famous in the UK for A Book of Middle Eastern Food (1968) the seminal volume which takes northern Africa, the Levant and western Asia in its stride. 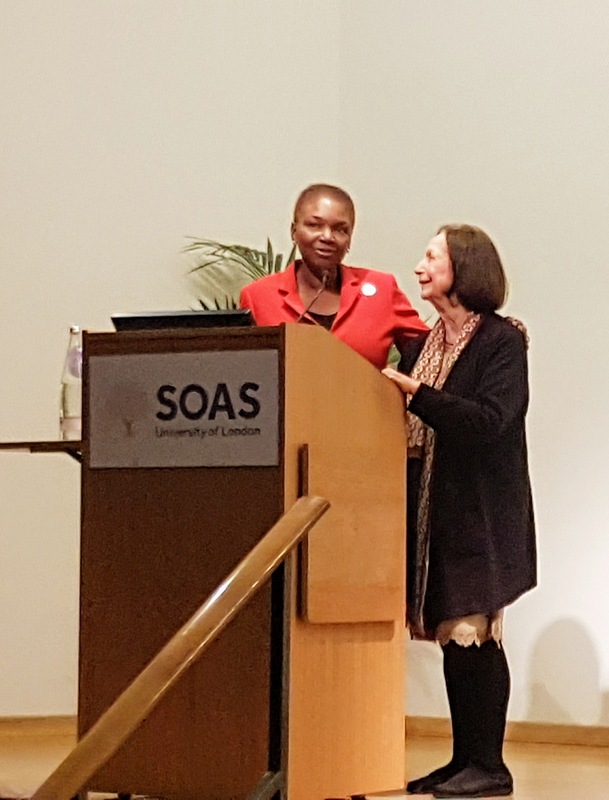 Cutting a diminutive figure onstage at London’s School of Oriental and Africa Studies (SOAS), it doesn’t take long for the writer to fill the space around her with scraps of stories gathered in streets, on trains and, most importantly, over boiling pots and in front of hot ovens. “There’s a certain intimacy in the kitchen,” she declares, “that you don’t have when you are entertained in the living room.” Roden reveals this as if it were a powerful secret, suggesting perhaps, that none of us have quite realised what we’ve been missing all this time nursing our coffees on the sofa. I think about the most recent of her recipes I made, the famous almond and orange cake, and how it filled the kitchen with the scent of marmalade and marzipan. Around the stove seems the only place to entertain when cooking her food. “For refugees and immigrants, food is the link with the past that lasts the longest,” she tells us from experience. Having left Egypt as a child during the Suez crisis, when 80,000 Jews were forced into exile, the cook remembers how recipes were exchanged in desperation between friends and families. Whereas before they would have been guarded jealously, or exchanged with a few mistakes, now people were offering them freely as mementoes to remember one another by. 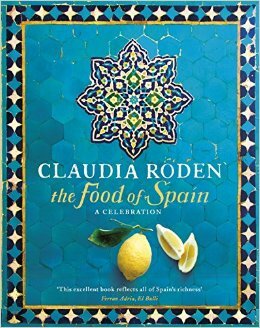 For Roden to cook and eat is a social experience, time and again she emphasises the “conviviality of eating”, and how this, and the joy of receiving guests, is at the heart of a food culture that stretches from Spain into Asia across southern Europe. Unable to stay in an empty house when her children grew up, Roden decided to stretch her legs into this extended home of hers and travel the Mediterranean to eat, chat and investigate. Back then, she laughs wryly, this was an unusual practice, unlike today when streetfood vendors in Marrakesh are sick of travellers. The writer asks everyone she meets about their favourite dishes, how they learned to make them, and where their parents and grandparents came from. 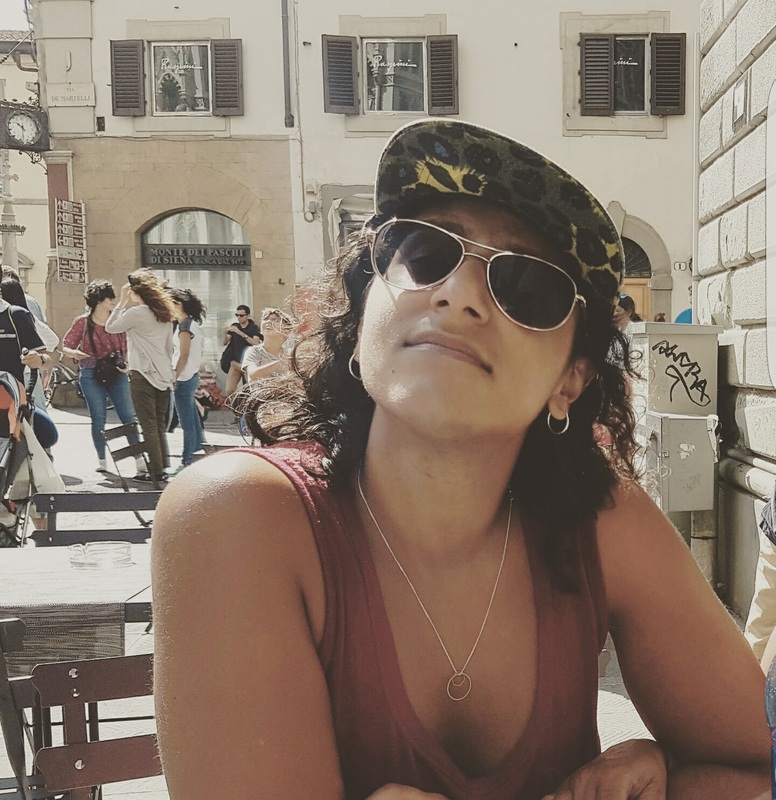 In Italy she found people only too willing to tell their tales and show off their traditions. Roden recalls an Italian rail journey when she was chatting to a fellow passenger about how to cook their favourite meal, and how eventually the entire carriage descended into uproar in disagreement over the methods. Travelling further west for The Food of Spain (2011) she found people less open and more sensitive about their food heritage. Whilst tourists are endlessly intrigued by the country’s lost Jewish and Muslim populations, and what they may have left behind, the writer describes a reactionary impulse amongst some locals to prove their culture of Roman lineage. Whilst a huge number of Jews left the country in 1492 as a result of the monarchy’s Edict of Expulsion, Roden finds clues ranging from names, to a turn of hand in the kitchen, that indicate the legacies of the families who stayed and converted to Catholicism. Talking to a chef she found one such indication in the most unassuming of places: the recipe for roast pork. What could that possibly have to do with Jewish or Muslim communities? “There is cumin in the recipe,” she is confident, which is how, before conversion they would have cooked their lamb. A long career of passionate investigation and a lifetime in the diaspora leaves Roden casually making claims that wo uld feel too broad were they not so clearly evidenced. She remembers how as a young girl in cosmopolitan Cairo she’d hear aunties conversing in Ladino, the language spoken by Spain’s Jews when they had left some four hundred years before, and how she’d detected an intangible feeling of familiarity when encountering the descendants of these cultures in Spain years later when researching her book. Turning to the city which serves as home, Roden reminisces about the “grey and beige” British food of the fifties. She happily notes though, that the days of only eating out on birthdays, when working as a chef was considered a terrible job, have long since passed and her preening audience of foodies nod in agreement as she claims London the “gastronomic capital of the world.” If food culture in the UK has changed in the last fifty years, the cook has certainly made her mark on it, perhaps most significantly for the 41% of the population she cites as having hummus in their fridges. When Marks & Spencer first started producing the dip, it was Roden who was called in to advise and the recipe from A Book of Middle Eastern Food that made the blueprint. “People still ask me for recipes from my mother’s kitchen, but I am running out of them.” The cook sees the last global food trend as one which involves cherishing the cooking of home, of a mother’s kitchen, in a reaction to globalisation. For Roden, food is not just nourishment of the stomach but a way to show affection, to connect both in the present and to the past. She finds hope in the power of these delicious shared histories for building community. 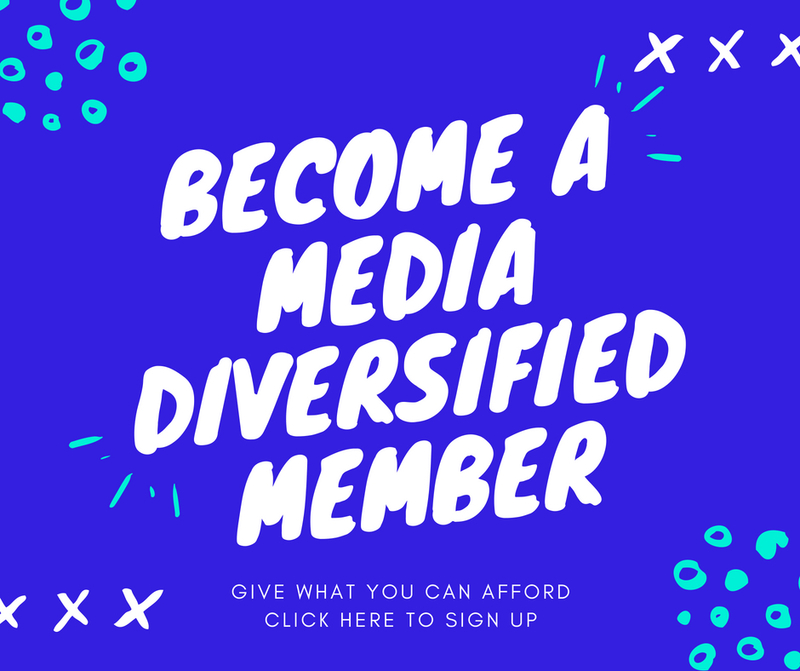 “There is an Arab saying, that if you have shared food with someone, you can never betray them.” Perhaps if we share the stories of our meals, provided you didn’t just Google the recipe (and maybe even if you did), this could be true. ← The grass is always bloodier: what will it take for us to acknowledge violence against black people in Europe?